Attention: This feature is currently in preview mode. For information on signing up for and/or accessing Preview Mode, refer to the following documentation. 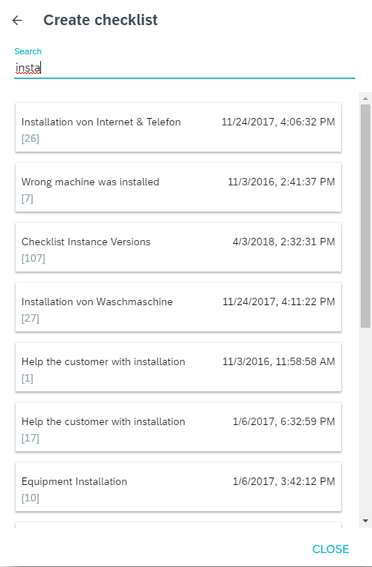 Attention This documentation refers to the “Instances” list in the Smartforms and Feedback application and the web app used to fill in smartforms. 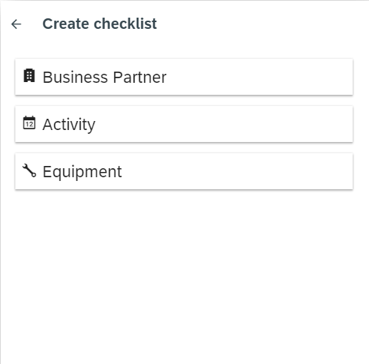 Smartforms can be created, viewed and filled or pre-filled using the web app by back-office users or by field technicians who do not have access to login to the mobile app. 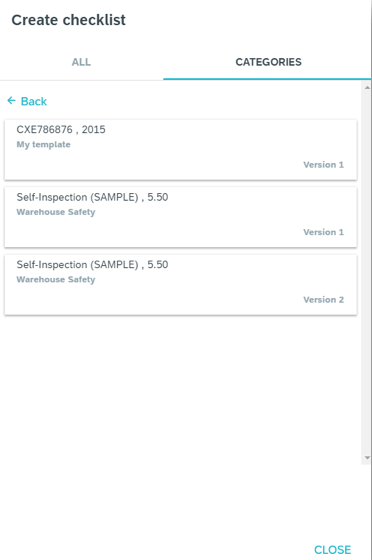 With the help of Web Smartforms guided instructions can be provided and feedback can be gathered from external users without having to access the mobile application. 1 Tables and series are not supported and will not be displayed in online smartforms. 2 Visibility conditions are currently NOT supported and elements will always be displayed. First you will select a template upon which to base an object-linked smartform. Next you will choose the object to which to link it. Please note that only objects that have records associated with them can be linked to smartforms. Next, you will select a record to which to assign the checklist. Imagine having a specific smartform for a specific piece of equipment. 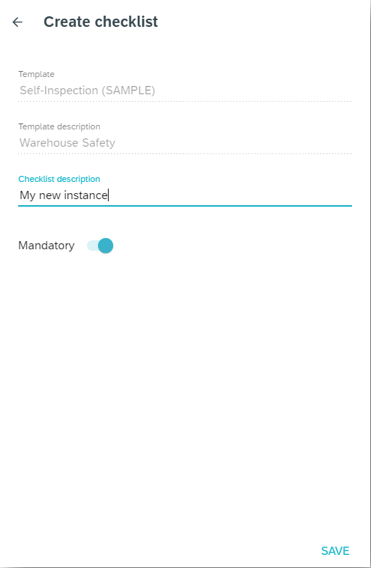 Finally, you can select whether or not the smartform for linked object record is mandatory or not. The first thing you’ll need to do is select the template you would like to base a smartform on. You can view all available templates or filter by category. Next, you’ll select the object type with which you wish to link the smartform. For example, the activity or equipment object type. In case of the standard field service setup we only support Activity as linked object type. Therefore, you might not be able to choose from any object type but have activity automatically selected. 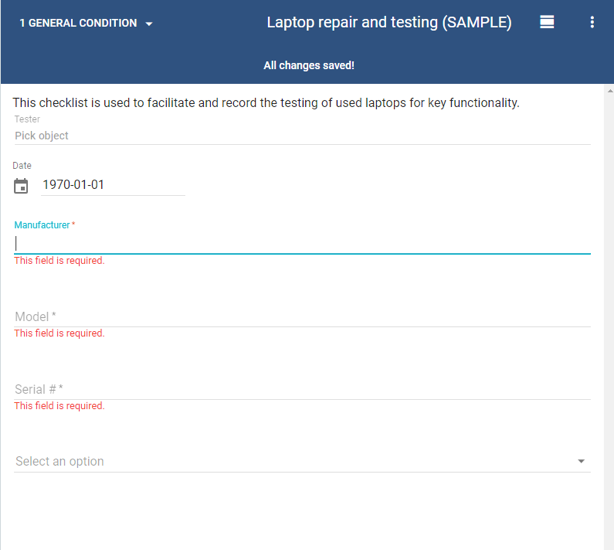 Now, you can select the record with which to associate the smartform instance. For example, an assembly smartform could be linked with the assembly activity that is planned on site. Finally, before saving, you can indicate whether the smartform is mandatory or not. When the smartform is mandatory, the technician will be required to complete it before the activity can be checked out and closed. In addition, you can also provide a description for the smartform instance. This description will be stored for the instance to differentiate between different instances based on the same template. First you will create the link for a specific instance that can be shared with others. Next, you can copy the link and share it via email or other communication channels. Lastly, any person who retrieved the link can access the smartform and view and fill in the required information. The first thing you’ll need to do is create the link for a specific instance that can be shared with others. This can be done from the action menu in the list of instances. Note: The shareable link is only valid for 30 days. After 30 days it will no longer be accessible and a new link will need to be created.